“Throwers” relish clearing out and will empty a house quickly; “keepers” want to preserve special things as well as memories, and will linger over the process. People who balance these attributes have come to the realization that the most valuable thing in a house is the life that has been lived there. Read more about how “keepers” and “throwers” work together to downsize and declutter. Along with the dilemma of what to do with all the stuff that we accumulate in life comes the dilemma of what to do with a life itself, with a person who has aged and lost the ability to take care of him or her self. Although this is not a topic we usually write about, I would like to share the stories of three of the best writers writing today who have tackled the subject, each in a personal and poignant way. Susan Allen Toth describes what it’s like to be in the trenches every hour of every day caring for her husband. 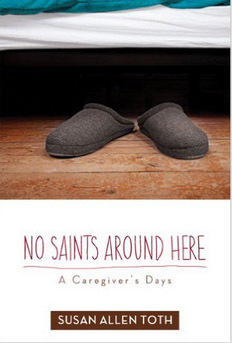 With grace and humor, Scott Simon shows us how to just be there for a dear loved one, for him his beloved mother, in the last days of her life. Roz Chast uses her laugh-out-loud funny and, at the same time, devastatingly real cartoons to depict the old-age roller coaster ride of her parents. As her husband’s Parkinson’s disease and eventual dementia take control over his body and mind, Susan Allen Toth is determined to care for him at home. This book, based on the journal she kept during the last 18 months of his life, is often painful in its details, frightening in her feelings of loneliness and isolation (although she did hire many aides), and compelling and poignant and sometimes funny in its story. It is written with unstinting love and brutal honesty. Toth made me laugh with her wit, disturbed me her details, and frightened me with her forthrightness – sometimes all on the same page. The author may have meant to be ironic with her title, but many readers feel that, to the contrary, Toth is as close to a saint as there is today. “We all need someone to hear us,” Toth says of the millions who devote their days to the care of a loved one. With her calm, gentle voice, Susan Allen Toth has become a loud and forceful advocate for caregivers everywhere. 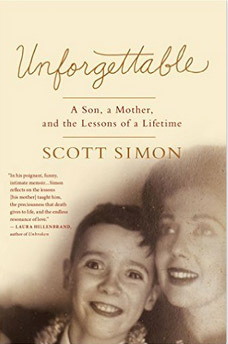 Using the tweets that he sent out to his Twitter followers during the last days of his mother’s illness as a framework, Scott Simon, the NPR correspondent, has written a memoir of Patricia Lyons Simon Newman Gelbin, a gorgeous, glamorous, funny, mischievous, three-times married woman who raised Simon as a single mother for much of his life. There are many memorable passages. Simon’s realization about death: “Death makes life worthwhile. 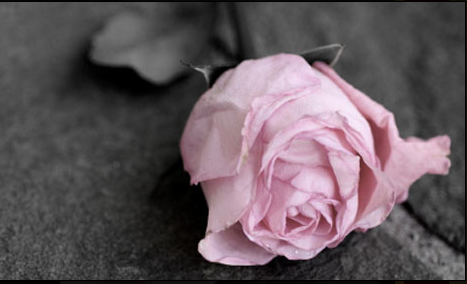 It gives each moment meaning…Death drives life. It frightens and inspires us. Do away with death, and we have no reason to get out of bed (or into it), grow, work, or love…” His mother’s lament about aging: “You know what is so hard? There’s a tone in their voice when you get old and people call you ‘lovely.’ Like you’ve become some kind of beautiful, crumbling statue. They never see you as the person you were before you got trapped in this old body.” Simon’s description of his mother’s later years: “After [her second husband] died, my mother became part of a merry and remarkable group of women, all widowed, who lived in her building and kept moving. They explored the city each day, went to plays, movies, museums, galleries, and new restaurants…My mother loved the women; so did I. They had fun…” How lovely for her. To the very end, Simon’s mother had her wits about her and, always, her grace. Here he captures the small details of life in the hospital and, at the same time, the big picture of a life well lived. 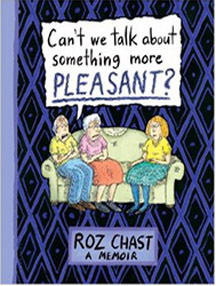 With equal parts laughter and tears, New Yorker cartoonist Roz Chast tells the story of taking on the parenting duties for her elderly and somewhat recalcitrant parents. With her quirky cartoons, sometimes in step-by-step panels and sometimes in full-page illustrations, Chast tells the story of her parents’ decline, their falls, their many visits to doctors. They refuse to let aides (strangers!) help care for them; they abhor the idea of assisted living; they refuse to part with any of stuff they have accumulated, even the junk (as Chast says, “I was aggravated that they hadn’t dealt with their accumulations back when they had the ability to do so.”) They are in denial about everything: their limitations, their aging, their dependence. They can’t abide the mention of death and won’t talk about what may happen. Chast’s book is at times hilarious, at times difficult to read, at times so surprisingly familiar. Her parents aged together, into their late 90s, which gave them comfort but also perpetuated the quirky dependence on each other that often excluded help from others, including their only daughter. Chast tells a very personal story but one that is universal. The cartoons, which are charming, honest, and humorous, serve to lighten the mood, yet highlight the seriousness of a story of aging and death. How do we deal with an aging parent or relative? How will we deal with our aging and eventual death? We could do well to take lessons from these three talented and perceptive authors, from books that should be on all of our to-read lists. ≈Linda Hetzer is an editor and author of books on home design, crafts, and food, and coauthor of Moving On: A Practical Guide to Downsizing the Family Home. Olivia Judson, an evolutionary biologist, former Times columnist–and a supremely graceful and sensitive writer–is the author of the series. In it she describes in great detail, with honesty and candor, the deeply emotional and difficult process of dismantling her parents’ home after the death of her father. Step by step she walks her readers through the myriad decisions that needed to be made as she and her brother went through mountains of accumulated “stuff”—54 file drawers in her father’s office alone! Along the way she explains and indeed shows just how and why these decisions are not so easy to make, and shares the memories and emotions—some beautiful and poignant, some painful—evoked in the process. Almost as interesting as the posts themselves are the comments published in response to the series, and the conversations it has engendered. So far, more than 800 readers have responded. The vast majority of them express sympathy and solidarity with what Judson was going through; a few advised her to just pitch everything into a dumpster; others warned her not to throw things out too quickly, and some gave helpful suggestions about what to do with some of the things. Quite a few vowed not to leave their children with such a task. Most simply shared their own similar experiences, memories of childhood homes (several very interesting comments recount the prominent role of childhood homes in dreams), dread of going through this process themselves one day, or appreciation of the rewarding discoveries that come along with the drudgery. What was very clear to me in reading this series was that no matter how much we might wish that the process of emptying a beloved home of everything in it could be straightforward and rational, a logistical task that simply requires organizing and executing the transfer of objects from one place to another (or rather, others), it is anything but either simple or straightforward. It is complex and deeply emotional, and for many of us it is heartbreaking in ways we can hardly fathom. In the final essay Judson tells how she follows the advice of a friend to choose a “memory stone” to help her through the final goodbye to her childhood home. I won’t attempt to retell the story for her: you can read the entire series here, and I recommend that you do read it, essay by essay, in order. It’s a wonderful tribute to both the beauty and the pain of what one of my favorite poets, James A. Emanuel, referred to as “this load that makes us human.” And though each of us has to find our own way of saying goodbye to the past, in listening to the stories of how others have done it we can find helpful guidance, and the comforting knowledge that we are not alone. Janet Hulstrand is a writer/editor, writing coach, travel blogger, and coauthor of Moving On: A Practical Guide to Downsizing the Family Home. Monday is Memorial Day, a day set aside to remember and honor those who died in service to their country. Sometimes it’s a little hard to remember that it’s not just a “bank holiday” that marks the beginning of summer, or a great weekend for sales. So here are five suggestions for ways to put the “memory” back into Memorial Day. 1. Put flowers on a grave. Memorial Day used to be called Decoration Day, because that was the day people decorated the graves of those who were being remembered. My father did not die in service to his country, but he did serve his country. In the little country churchyard where his ashes are buried, every Memorial Day my aunt and uncle put flowers on his grave and on the graves of all the veterans. That simple token of love and respect for those who served their country means a lot to me. 2. Tell your chldren (or nieces or nephews) about someone in your family who lost their life in service to our country. The serviceman in the photograph above is my father’s cousin, Howard, who was like a brother to him. 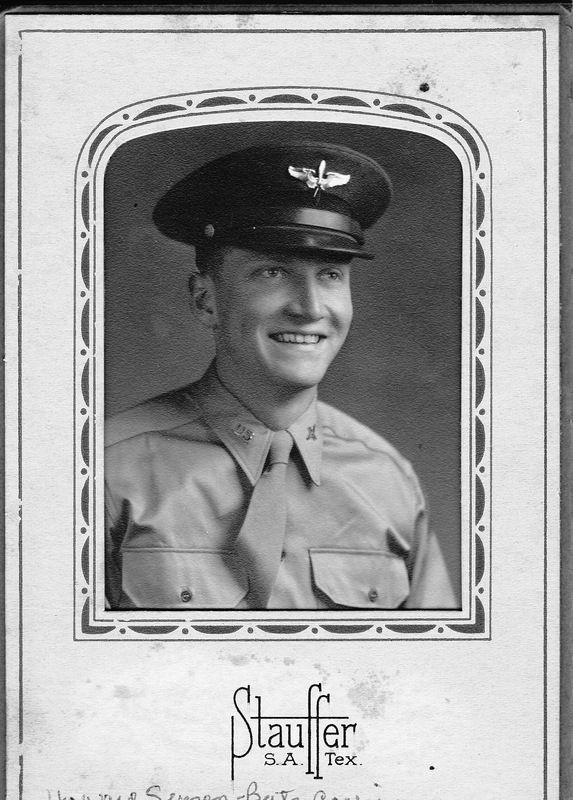 Howard was a pilot who served in the European theater in World War II. His plane went down over the Adriatic Sea and he was never found. When I look at this picture of him, so young and strong and full of life, and think of how much he gave up, and how much his mother lost when she lost him (he was her only child), it makes me feel sad. It also makes me want to be sure that Howard, though he never had the chance to have a family of his own, will never be forgotten by the family he came from. 3. Write about that person, who they were, how, when and where they died, what they were like, and add it to your written family history. Writing this blog has made me want to know more about Howard. So one of my Memorial Day weekend activities is going to be to try to see what I can find out, and then record it in my family history files. 4. Find any war letters that may be in your home and make sure they are safely stored. If you don’t want them, consider donating them to a historical society, museum, or to WarLetters.com. Warletters.com also has great advice for how to help preserve the letters you want to keep. So there you have five perfectly wonderful things to do on Memorial Day weekend. You may notice that not a single one of them has anything to do with going shopping, or buying stuff. That’s not what this blog is about. And it’s not what Memorial Day is about either. Wishing you a meaningful Memorial Day, and a great start to the summer! It happens to each of us, sadly, at some point. We have to sort through and dispose of an entire household after losing a loved one. Where do we start? What’s the best way of dealing with the stuff? Who can we ask to help? We looked to several fellow bloggers for advice as well as to our own experiences and those of the people we interviewed in our book Moving On. Here’s the best of what we found. Lisa Montanaro in her post Organizing After the Loss of a Loved One, emphasizes taking one’s time. “After the death of a loved one, some people are tempted to sift through belongings and make decisions quickly. If this feels natural to you, fine (consider checking with a grief counselor before moving too quickly through the process). But most people need more time after a loss to organize a loved one’s possessions.” Some people need only a few months; others take years to sort through everything. Keep a few special things. Save what’s meaningful to you. Tina Segal, founder of The Estate Settlers, has set up an information network and a service to assist an estate executor that helps families during the emotional and trying times following a death in the family. Her company focuses its efforts on the financial side of the estate as well as the “stuff” that’s left behind: the furniture, the cars, the jewelry, as well as the house itself. Get your own house in order. Getting your own papers and favorite items in order for your heirs is the best gift you can give them. As we’ve mentioned in previous posts, make sure you have the four important papers updated and kept in a safe place. And make sure to create a list of all the important stuff in your life as a guide for after you’re gone. 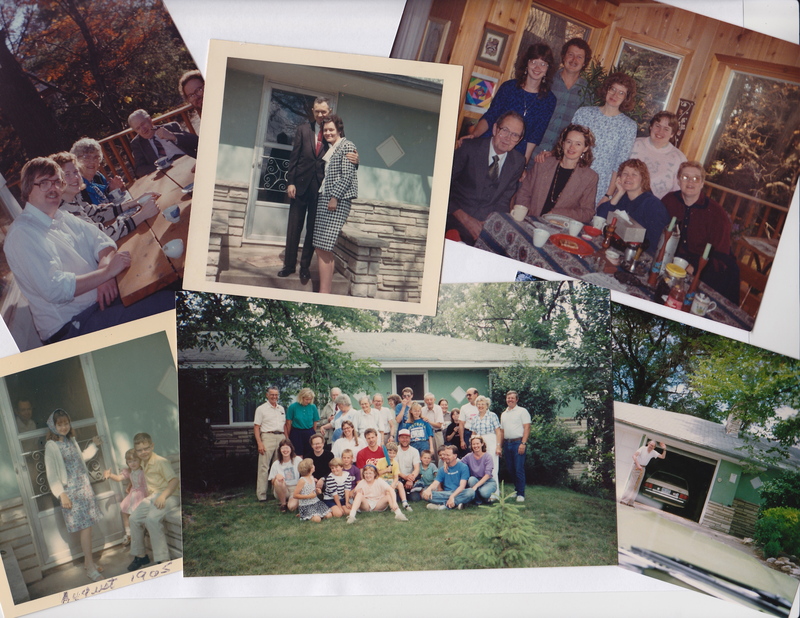 When my father moved from the house he had lived in for 50 years, my childhood home, to an apartment, my siblings and I took on the task of sorting through and distributing family mementos and household items. We felt we had been fairly successful at divvying up things among family members without too much animosity. We sold, donated, gave away, and threw out what we didn’t want or couldn’t use. My father made the transition to apartment living nicely and I cowrote a book about the experience: Moving On: A Practical Guide to Downsizing the Family Home. Several years later, my father moved from that apartment to a smaller place in a senior housing facility. So, as the daughter who lived closest, I once again sorted through family stuff. I thought that I didn’t want to do that again. But as I looked through my father’s high school and college yearbooks, read family letters from relatives long gone, found my parents’ baptismal certificates, gave some of my mother’s favorite serving dishes to my daughter, and pored over album after album of family photographs, I felt a sense of poignancy, a certain satisfaction, of course, and most of all joy. It was a privilege to be a part of that life, a life my parents shared through 52 years of marriage – a privilege not everyone gets, and one that I was grateful for. This time I brought home too many things I couldn’t part with and over these last few years have lamented about what to do with them. My father died in January at the age of 92. Some of the things my father left to us helped me write his obituary. The file of business letters lists the numerous awards he received for being top salesman. His university pennant and fraternity paddle speak of the pride he felt in his alma mater. His puttees and a photo of him in uniform tell of his patriotism. Notices from charities recount his great generosity. And tributes from church declare his faith and stewardship. But what my father really left to us didn’t come from the stuff he left behind but rather from who he was. He adored my mother and took great care of her. As my brother said: Of all the jobs he had, being a husband was the one he did best. Whether people knew him a long time or had just met him, they always remarked about how nice he was. “He’s such a nice man” is what his children always heard from people. And, best of all, I see his intelligence and work ethic, his kindness and sense of humor, in my children. What a legacy he has passed on. This will be my first Father’s Day without my father. I wish a happy and healthy and joyous day to all the dads out there. Cherish the time with your family. One day when my kids were teenagers, I started to say something about ‘After I died…’, and the look on their faces was so heartsick. I realized that although there was not much I could do to lessen their grief on the day I died, there were certainly things I could do to make the day after an easier day for them. So I created my list. This is not a list to share with them now because there is too much confidential information. I keep this list in my computer files. I suggest you tell your heirs that the list exists, the name of the file, and provide a password, if necessary, to access the file. The list should be updated regularly – twice a year is best (although that’s sometimes difficult to do). The more current the document is, the more helpful it will be. *Life insurance policies: The name of the company, contact information, account number, amount of benefit, and any contingencies – such as benefit is halved when you turn 70. 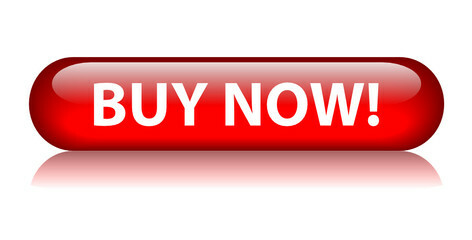 *Cemetery plot: The name of the cemetery and contact information. *Funeral plans: Any wishes you have for the service and the burial. *Important papers: The four important papers we all need: a will, a power of attorney, a health care proxy, and a living will. The original copies of these papers should be filed together along with life insurance policies, birth certificates, marriage certificate or divorce decree, cemetery plot, title to your car, apartment lease, home mortgage, stock certificates, savings bonds, loan agreements, the last three years of tax returns. File these together if possible; if not, state where each can be found. *Important people: The names and contact information for your primary care doctor, lawyer, accountant, and broker, including phone numbers and email addresses. *Health insurance: The name of the company, your ID number, and contact information. *Bank accounts, CDs, IRAs, annuities, pension plans: The name of the institution, the account number, contact information; and for online access, your user name and password. *Checking account: List what is automatically deposited, the amount and day of the month; what is automatically deducted, the amount and day of the month; what bills you pay online; if you write checks regularly for something ‘other’ such as to support an elderly relative or college student, state to whom and for what amount. *Safe deposit box: The name of the institution, access information, and what’s in it. *Safe at home: The combination to the lock, what’s in it. *Credit cards: Make a photocopy of the front and back of each card. If you pay some bills online, then add the user name and password for each card; if you pay by check, then state where you keep the files and where you keep your checkbook. If you have certain payments automatically deducted, then indicate which card and which payments. *If you’ve hidden anything, tell them here. People hide things all the time, money in the freezer, jewelry in cosmetic jars. This is the place to spill your secrets. If you’ve stashed your millions in the mattress, it’s better for your heirs to find out now then to discover it after they’ve donated the bed to the local thrift store. *If you own something of value, or you think may be valuable, such as jewelry, artwork, antiques, mention that here and suggest the items be appraised. *Storage room. The name and location of the facility, contact information, the room number, the access code. *Your car. Car insurance: name of company and contact information; car registration, and where you keep the extra set of keys. *Your pet: Arrangements for its care. *Social media: Facebook, Twitter, website, email accounts. Provide user name and passwords and any instructions you would like followed in regard to these accounts. *List anything else that’s particular to you such as season tickets to the opera or to a sports team. *Your own company. Add information that your heirs must have. *A second home. Keep a separate file of this information. There are different ways to create a list like this. I created a Word document but you can go online to find outlines and fill-in pages to work with. To help you get started, you can also check out The 25 Documents You Need Before You Die and A Graceful Exit kit. These are the kinds of statements that can lead to getting-rid-of-stuff paralysis, a common affliction that occurs when families have to disperse the things in a home that has held many happy memories. But a surprisingly simple strategy can help break the impasse: that is, recognizing that it is the memories that are important, not the chairs, the pianos, the chest of drawers. In many cases, pieces of furniture can be passed from generation to generation: loved, enjoyed, treasured. And in such cases they can indeed help keep memories of loved ones who are no longer with us. But in other cases, the furniture (or whatever) has become a burden. There’s not room for it. It doesn’t fit the lives, or the apartments, of those who have been burdened with it. And now the memories are becoming part of the burden too. In such cases, isn’t it better to acknowledge the importance of the memories? And to assure that they will endure, by telling them to the next generation? Or better yet, writing them down? And then to get rid of the burden, by selling the furniture, or giving it away? Often, families get caught at the first stage of this process: grief or longing for times gone by, the desire to acknowledge how good those times were, and how much they meant to us. That could help to safeguard the memories, as well as the tender feelings that go with them. And it might help us get to the next stage in the process also: of getting rid of some big, unwieldy stuff that has outlived its purpose in the family. Instead of spiraling down into bickering and sadness. With an extra ounce of understanding and compassion for each other, this can happen! Yes, it can! Janet Hulstrand is a writer/editor, writing coach , travel blogger, and coauthor of Moving On: A Practical Guide to Downsizing the Family Home. We emptied our childhood homes of all that "stuff" and wrote a book about it. Our blog offers additional help for downsizing and decluttering. Downsizing the Home on Twitter! Who Are the Visionary Women in Your Life?